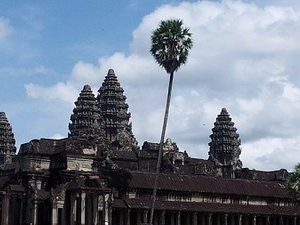 Angkor Travel Plus arrange all package tour around Cambodia. 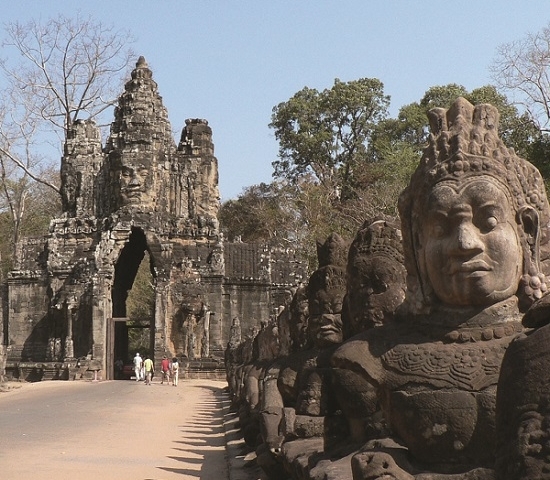 Siem Reap and Battambang is perfect places for tourist to explore. *Government tax & service charge. Welcome to Siem Reap! 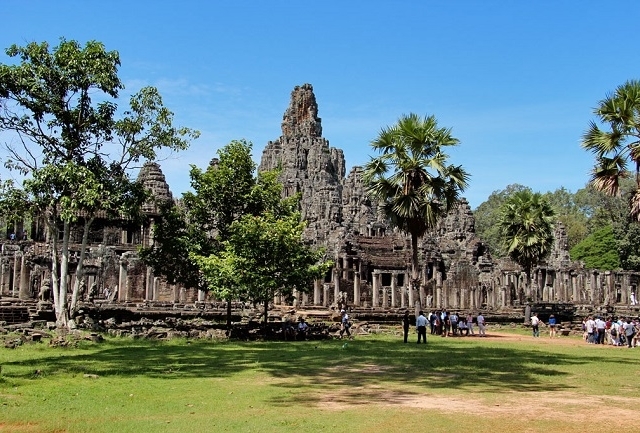 Your tour begins when you are warmly welcomed by our English Speaking Guide at Siem Reap International Airport and transfer to check in. Afternoon continue to Chong Kneas one of natural tourisms and a mangroves for hundreds species of fresh water fishes and birds and decorated with ethnic stilted houses line over the water surface up to the air. The villages are primarily Khmer and have about 3000 inhabitants between them, most of who live in stilted houses. The people depend largely on fishing and tourism for their incomes. We embark on the traditional wooden boat through the flooded forests of the GREAT TONLE SAP LAKE, habitat of many bird species it will bring you to Chong Kneas. This amazing floating village is built on 8 to 10 m high stilts. We visit an island pagoda, a school and traditional stilt houses to interact with the local families. Return to Siem Reap for refreshment. 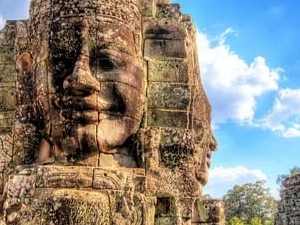 Breakfast at your hotel, this morning, you will start to visit visit the South Gate of Angkor Thom, Bayon, which located in the centre of Angkor Thom 'Great City' of Cambodia, during the reign of King Jayavarman VII (1181-1218), the impressive of 4 faces of Avalokitesvara Bodhisattva of Mahayana Buddhism. 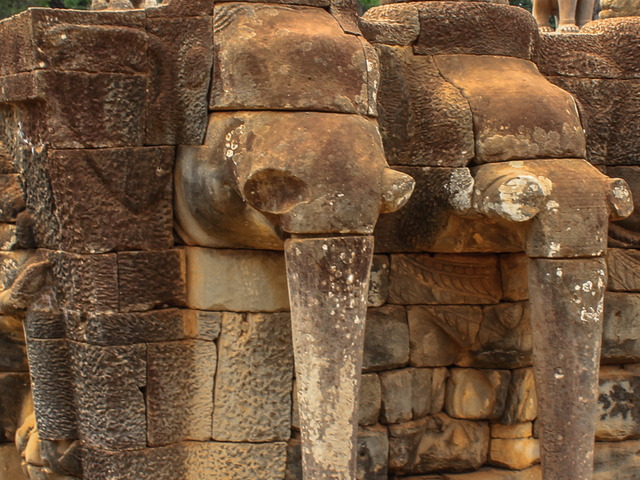 You will go on to Baphuon, Royal Enclosure, Phimeanakas, and Elephant Terrace and Leper King Terrace. 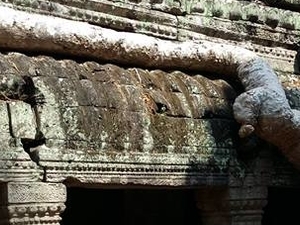 Afternoon, you will visit the magnificent temple of Angkor Wat which is the largest temple in Angkor site, Angkor Wat was built by King Suryavarman II (1113 - 1150) to dedicate to God 'Vishnu'. The temple known as the wonder of the world, located in UNESCO site 401 square kilometres. And then to Ta Prohm, the temple which was built in 1186 by King Jayavarman VII (1181-1218). Temple was invaded by Jungle about 500 years old. The Hollywood Movie star 'Angelina Jolie' took her movie here "Tomb Raider". And then visit to the Phnom Bakheng temple, is the first temple in Angkor region build by the Yacovarman I King in the first of 9th century, located on a slope gently hill where thousands tourist are grouping on the hilltop to catch a memorable time of life when viewing the marvellous sunset, the distant Angkor Wat in the jungle. Breakfast at hotel, check out. 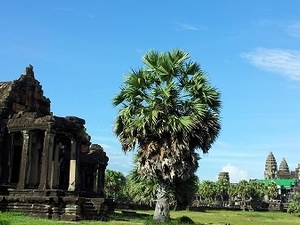 Transfer by private vehicle to Battambang, on the way we will explore to Banteay Chhmar temple is a historical site located in Tma Puok district along National Road 69A, about 59 kilometers north of the provincial town. 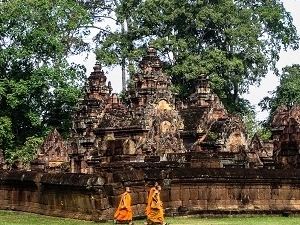 A temple was built in the 12th and 13th centuries, during the reign of King Jayavarman VII. 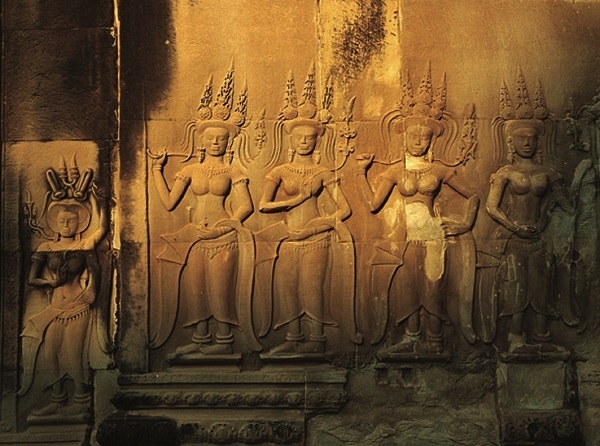 But years of war have laid waste to the temple, and thieves and villagers have removed the statues and sculptures for sale in Thailand. And then continue to Battambang City, arrive and transfer to check in hotel. Breakfast at hotel, today you will visit Banan temple is located in Kanti II commune, Banan district, atop a 400-meter-high mountaintop, about 25 kilometers south of the provincial town. 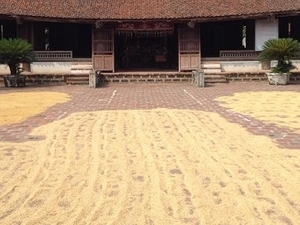 This sandstone and laterite temple was built between the mid-11th and late 12th centuries. Work was started under King Udayadityavarman II (AD 1050-1066) and ultimately finished by King Jayavarman VII (AD 1181-1219). And enjoy the Bamboo train for experience with local people. 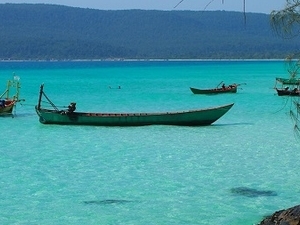 Afternoon visit Phnom Sampeou is a natural site located along National Road 57 in Sampeou commune, Battambang district, about 12 kilometers from the provincial town. Atop a 100-meter-high mountain stands a pagoda and three natural caves: Pkasla, Lakhaon and Aksopheak. Pkasla cave is full of uprooted stones and is considered important because it is where Phnom Sampeou residents come to celebrate after a marriage. Evening enjoy to visit Bat Caves and back to hotel. Breakfast at your hotel, check out. Transfer back from Banttambang to Siem reap. 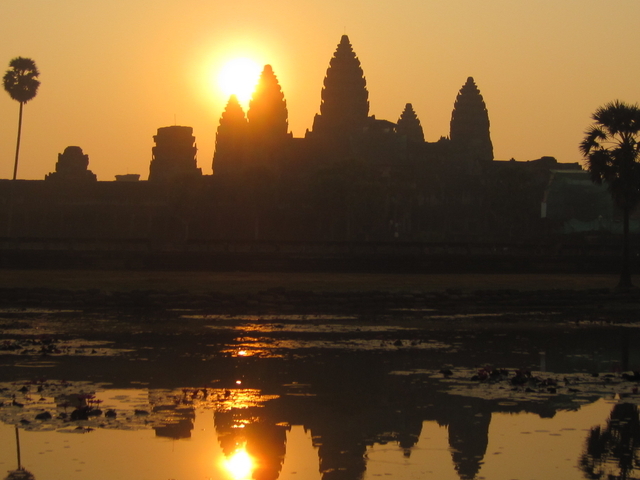 Arrive and refreshment, free your own leisure till time transfer to Siem Reap airport departure to next destination. >Less than 03days/now show - 100% of total holiday cost.